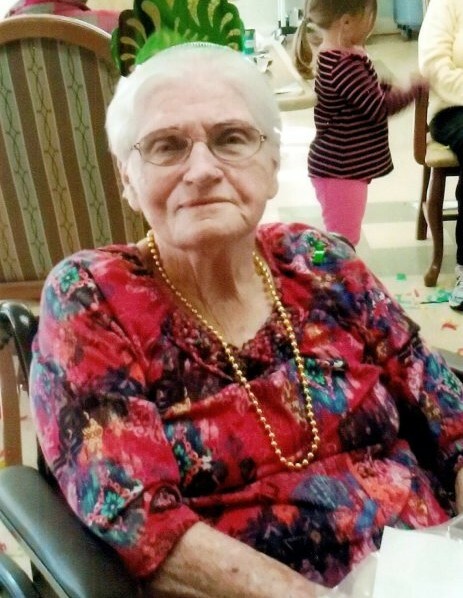 Louise Jarrett Bailey, 85, of Calhoun, died Sunday, February 3, 2019 at Gordon Health Care. She was born in Bartow County on December 6, 1933, daughter of the late William Arthur and Alma Carroll Jarrett. In addition to her parents, she was preceded in death by her husband, Hollis Verland Bailey, in 1998; eleven brothers and sisters; and a very special friend, Nellie Gentry. Louise had retired from the textile industry. She loved family and friends, and being around her great-grandbabies. She was a member of Plainville Fellowship Baptist Church. Survivors include her sons and daughters-in-law, Roger Dale and Nina Bailey, and Dale Ray and Gail Bailey; her grandchildren, Heidi Jackson (Elbert), Roger Bailey, Heather Forbes (Scott), Angel Friday, Amber Offutt, Toshia Massingil (Chris), Candice Burkhalter (Chris), and Tonia Nixon (Mike); and her great-grandchildren, Lane, Oaklyn, Kimber, Kinslee, Chloe, Karli, Willow, Lincoln, Cage, Corban, Claire, Banyan, Brittany, and Michael. Funeral services for Louise Jarrett Bailey will be held Wednesday, February 6th at 2:00 PM from Plainville Church of God of Prophecy, with Rev. Ronnie Chandler and Rev. Michael Stone officiating. Burial will follow in the church cemetery. Her body will lie in state at the church from 1:00 PM until 2:00 PM. Pallbearers serving will include Dempsey Wright, Scott Forbes, Elbert Jackson, Daniel Monteith, Jeff Davis, and Chris Burkhalter. Honorary pallbearers are Roger Bailey, Tony York, Lane Bailey, and Ronald Langley. The family will receive friends at Max Brannon and Sons Funeral Home on Tuesday, February 5th from 5:00 PM until 8:00 PM.